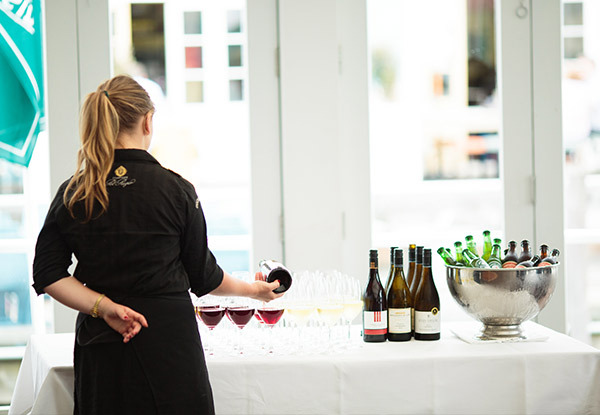 Make yourself known as the host with the most, when you hold your next function at a venue with some of the finest harbour views in the whole capital city. 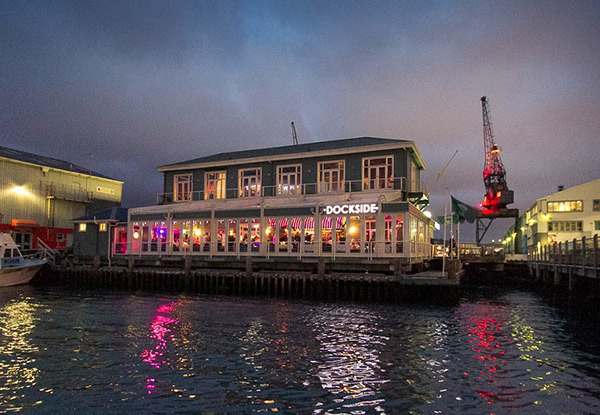 Whether you're celebrating an engagement, wedding or birthday, or you're holding a staff or client function, pretty much any special occasion can be made even more fantastic with a dinner at this incredible location. 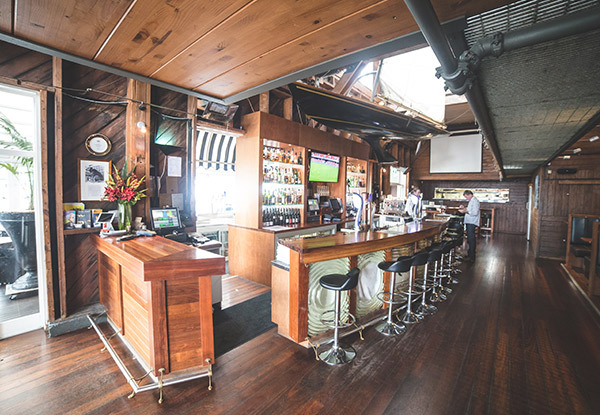 Wow your guests with the stylish harbourside location of this historical wharf shed - depending on how big your soiree is, you can hold it in the dining room, at the upstairs restaurant, or out on the deck area. Your guests will be welcomed with a beer, glass of wine or glass of juice when they arrive, and then everyone will sit down to a mouth watering three-course dinner. 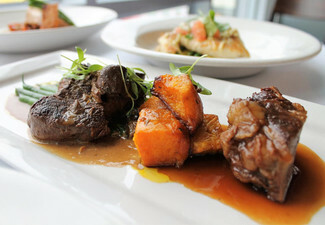 The set menu includes a starter and a choice of three entrees, three main meals and three desserts. 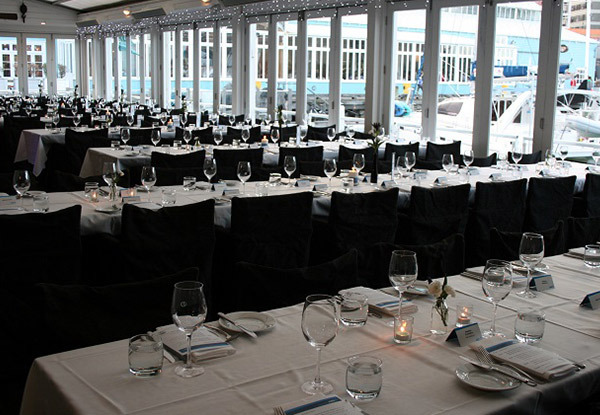 You can book your function for any date between 8th April until 31st October 2019 (subject to availability). 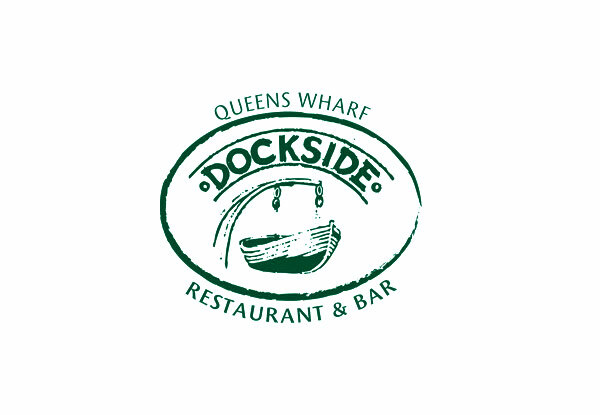 Grab a great deal on a harbourside function, including a three-course dinner, at Dockside Restaurant and Bar on Queens Wharf. Choose your venue depending on how many people you have on your guest list. 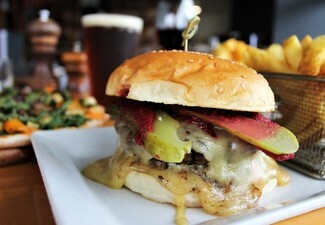 Each option includes a three-course meal and one beer or glass or wine or juice for each guest. 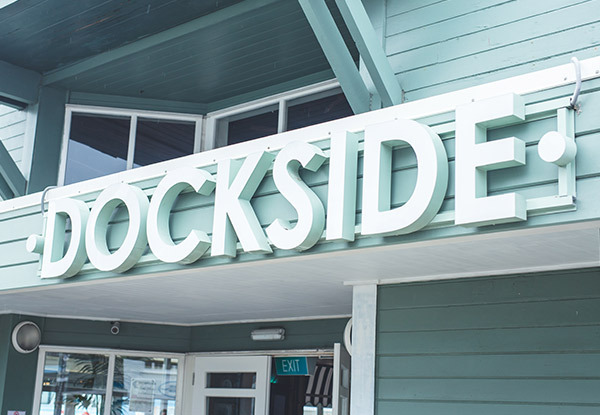 Situated at the heart of Queens Wharf, Dockside Restaurant and Bar is one of Wellington’s most diverse venues, with the ability to cater to every need. 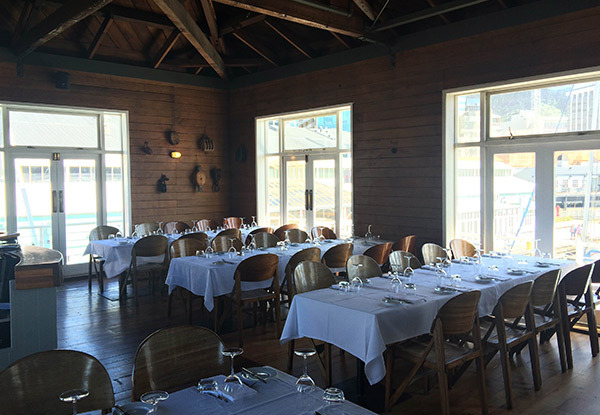 Housed in a historic waterfront shed, it enjoys stunning views from every aspect with a maritime theme throughout. 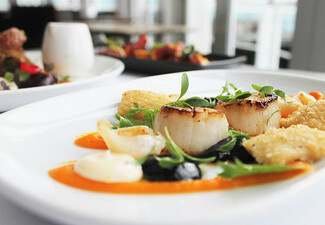 Dockside offers a largely seafood based menu focusing on the best of what New Zealand has to offer. 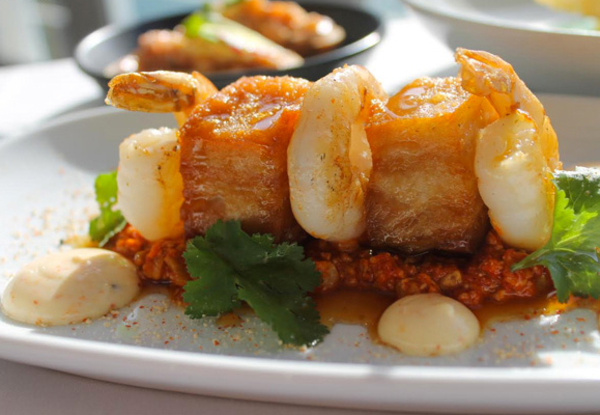 The menu changes daily with emphasis on the best, freshest produce and on providing even their most loyal customers with a menu that's sometimes surprising, always impressive. Bookings essential. Subject to availability. Additional booking requirements may be necessary. 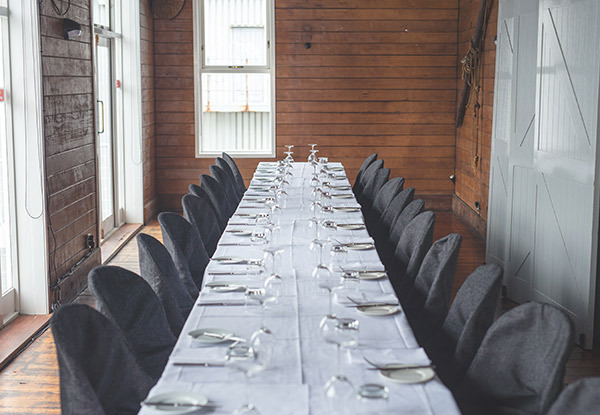 Functions can be held between 8th April until 31st October 2019 (subject to availability). 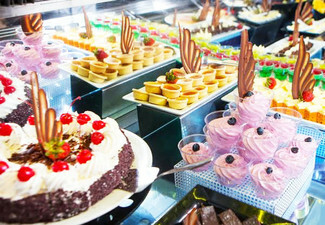 Valid only for the number of guests specified. R18 for alcohol. Always drink responsibly. Host responsibility applies. Not valid public holidays. 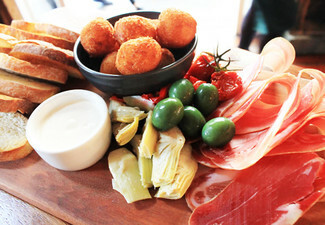 Valid for one three-course meal and one drink per guest. Non alcoholic drink options are available. No refunds unless required by law, no cashbacks. Not for use with any other offers. Liquor licence #:049/ON/83/2013.